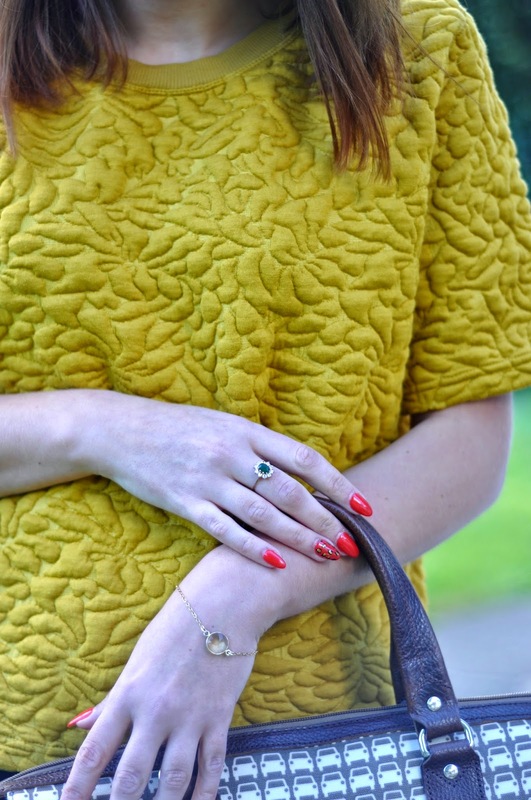 In autumn/winter I love a bit of mustard... colour of course. It's perfectly muted, autumnal with a really warm feel to it. And it goes so well with black. 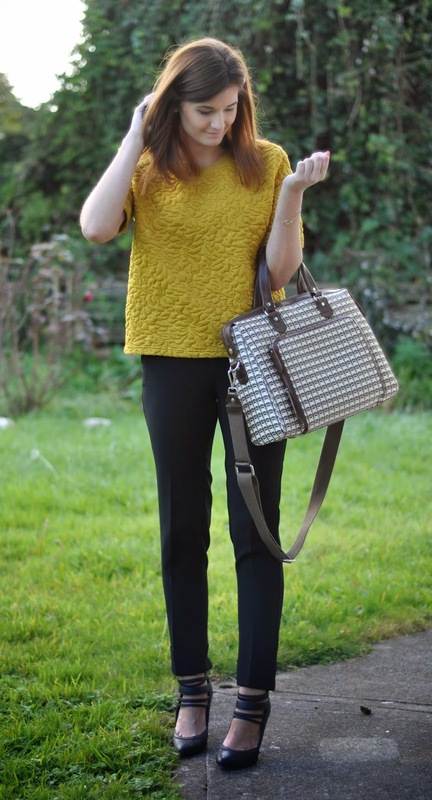 If it comes in a form of a textured top with an incredible price tag of only € 20 - all the better. It's very 9-5 friendly too so summing up - it ticks all the right boxes!